Starting on April 21st I joined a challenge for the next 30 days. It is really easy and goes right along with my lifestyle. It is all about being healthy, not just in body but in mind and in spirit. 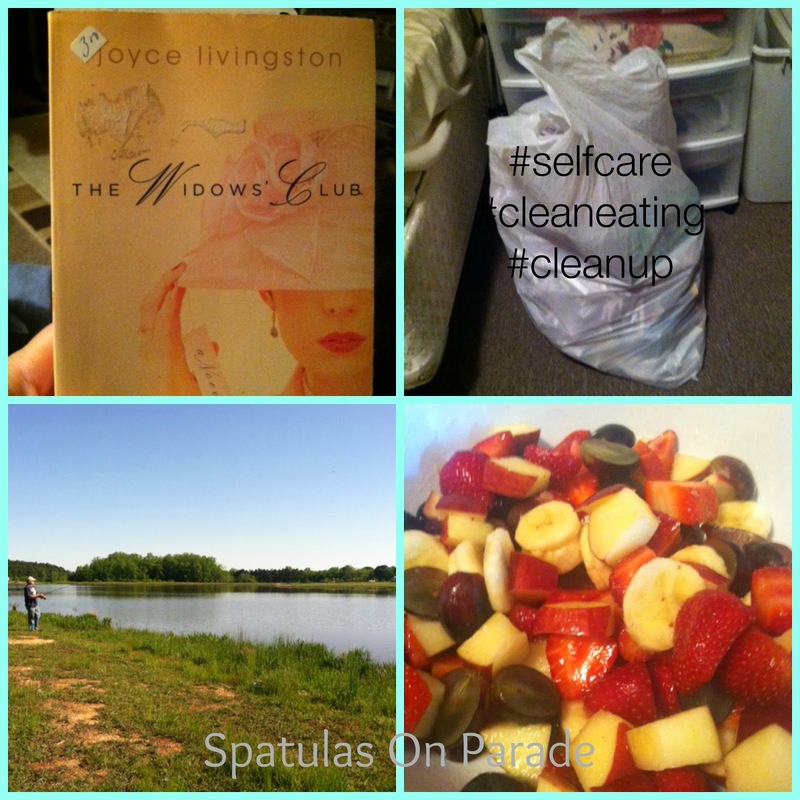 A little about the challenge, each day you eat 1 clean meal, do something for yourself and clean up or declutter. I love this. I do these things anyway but the self care is the one area I lack in. As I have mentioned before, I have always put my family first. I was last on the list, and with doing that my health has suffered for years. In January I made the decision to work on me and in doing so I have lost weight and gained my life. What have you done for yourself lately? It is not being selfish or self centered to care for yourself. You owe it to yourself and your family to be the best you that you can be. I wasted a lot of years, don't do the same. 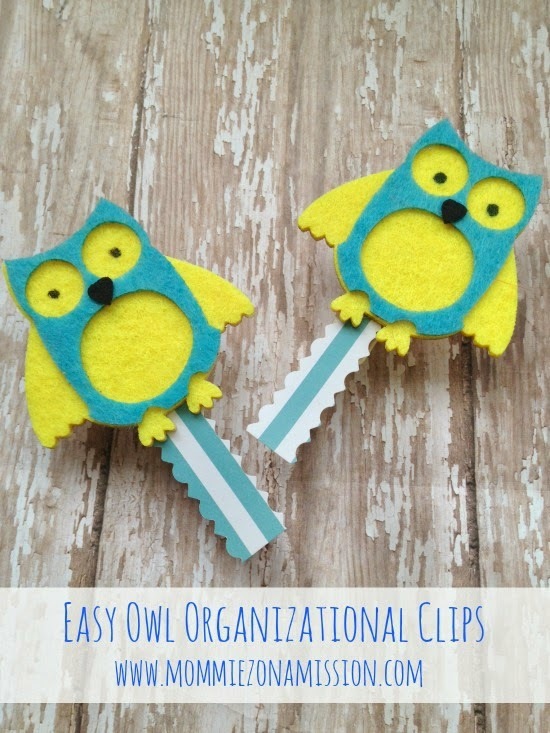 I hope you are enjoying being able to find just about everything here and also linking up not only your recipes but your DIY, crafts and home decor ideas. It's better than Wal-Mart, one stop shopping! Be sure to follow your hostess! We appreciate each one who links up and would love to connect with you! Please limit your links to 2 per person and remember to follow your host and co-host. When you share the party, be sure to include the link where you linked up. THANKS SO MUCH!! 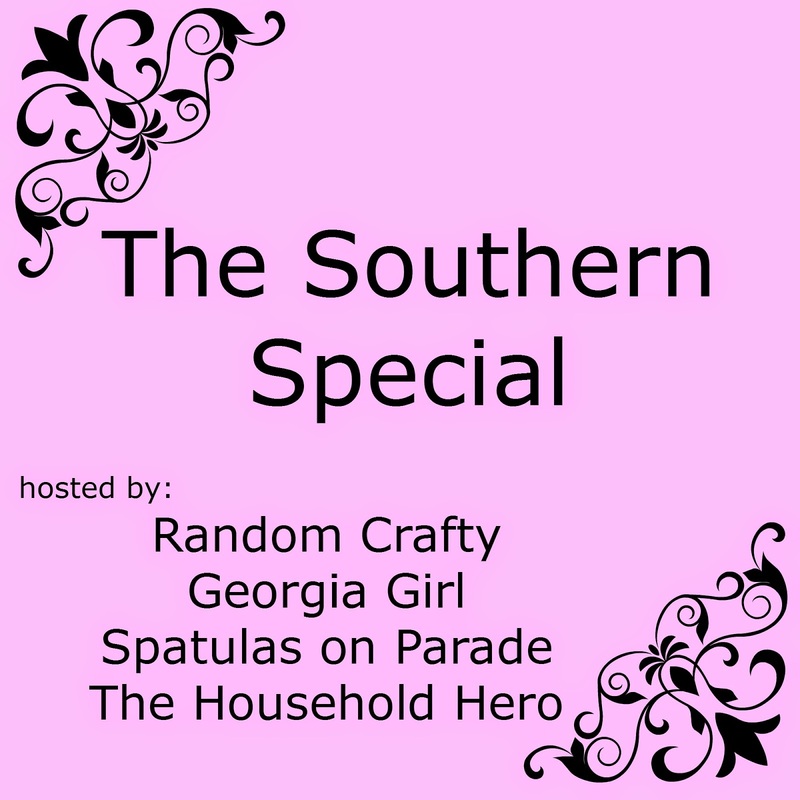 The Southern Special is a link up where we share recipes, crafts, landscapes, home decor, architecture, and traditions. It doesn't have to be all southern ideas though! If you have anything you want to share then by all means link it up! Link your post back to the blog you linked up with to be considered for features.The hosts will also be sharing their favorite posts on a Southern Special pinterest board! This is not a healthy recipe, let me say that right up front...and you will find a naughty recipe like this from time to time, I have family I need to keep happy. For Easter we had a family dinner, my husbands siblings and their kids and their kids and my FIL all got together. THIS is an interesting time. Now I am the only one who eats healthy and no one wanted my "health food junk" but a fattening full of sugar clog my arteries type of dish. So to keep peace, I made deviled eggs, chicken and rice and a big ol' fat bundt cake, a new recipe just for my FIL because he loves strawberries. Here is the result, now yes I did eat a small piece, but here I sit a week later writing this post and there is still cake in my kitchen, which sadly will be thrown out. Sad you may question, yes because it is food thrown out and I hate being wasteful. But I'm not going to eat it and everyone else is done with cake for the week. They are not big on sweets but will batter and deep fry anything that doesn't move...hey that's an idea, I could slice the cake, batter and deep fry it, then they'd eat it up. Blend all ingredients together and pour into a prepared bundt pan. Bake at 350 degrees for 50 minutes. Cool and poke holes in the top. Pour 1/3 cup of daiquiri mix over cake to soak in. Mix 1/3 cup daiquiri mix and 1 1/2 cups powdered sugar together, toss in 1 pint of strawberries stemmed and washed. 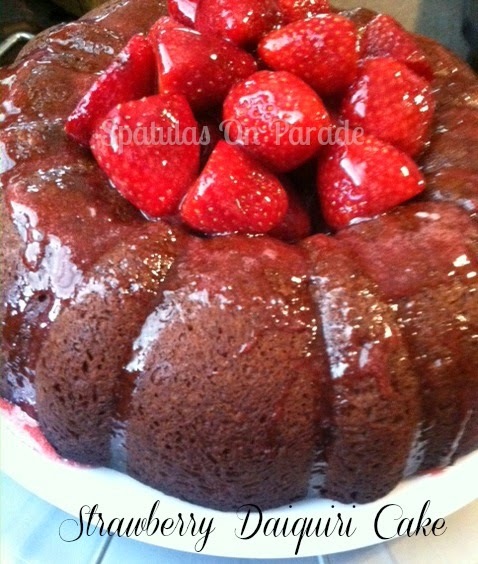 Mix well and pour over cake placing strawberries in the center. Hey folks! Happy FRIDAY!!! and another week of 'boost your facebook post" I am seeing an increase in who sees my post! That is fantastic, are you? I sure hope so, if not, it may take a week or two so hang in there! Welcome to the Boost Your Post Party where we help each other increase our Facebook views by commenting, liking and sharing each other's FACEBOOK posts. Facebook, How Frustrated Are You? 1. An ongoing list of FACEBOOK PAGES so that we can LIKE them. Thanks to our wonderful co-hosts! We'd love it if you'd follow us. Now...let's PARTY!!! Be sure to like, comment and share at VERY LEAST the two posts above yours. Enthusiastic? Help a lot of people and even come back to help later entries. Your choice! I've been MIA from the FFF for some time now and thought I'd try to get back into the swing of things. 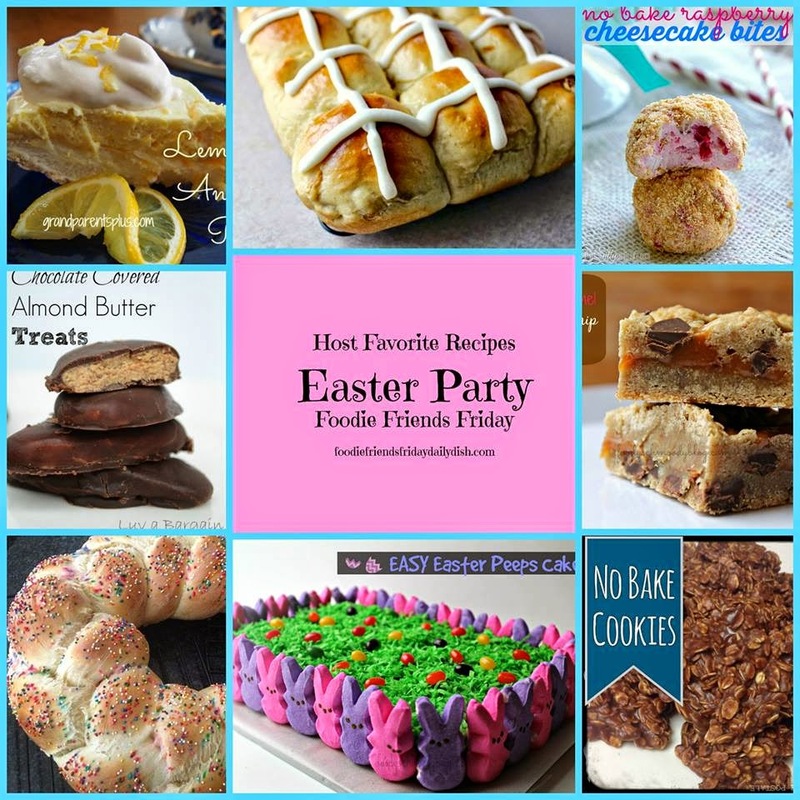 Foodie Friends Friday was my big push into the blogging world. The very first link party I ever saw and linked up to. These ladies have seen me through a lot, so be sure to stop by and check them out! 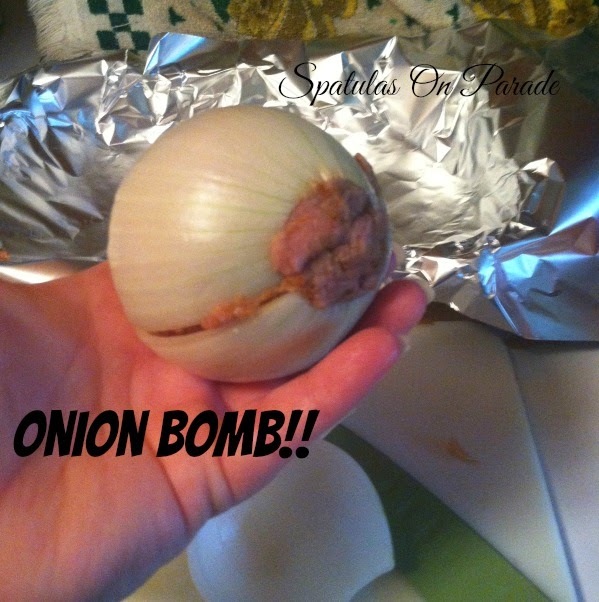 If you've ever been camping, to camp or hung out with a bunch of guys in the woods you may have heard of onion bombs, seen or even eaten them. If not, you're in for at treat! Onion bombs are man food! Camping, grilling, eat with your hands, primitive goodness! These however, I cooked in the oven and added BBQ sauce, so they'd be sort of messy to eat with your hands. I'm sure your husband or sons would love them! 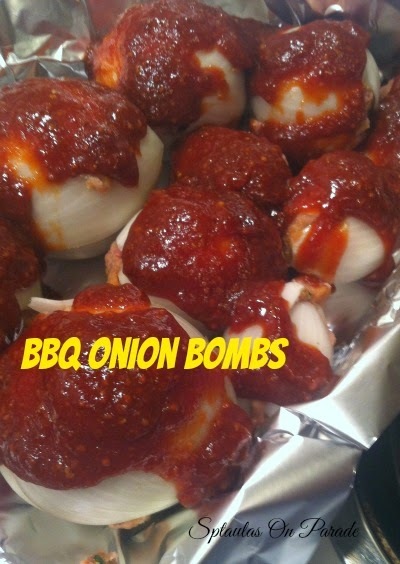 The traditional onion bombs are cooked in foil over an open fire. Tons of meat and heat... I added in some sneaky veggies. shh don't tell your kids. Mix all the ingredients in a bowl except the onions. Slice the onion in half. 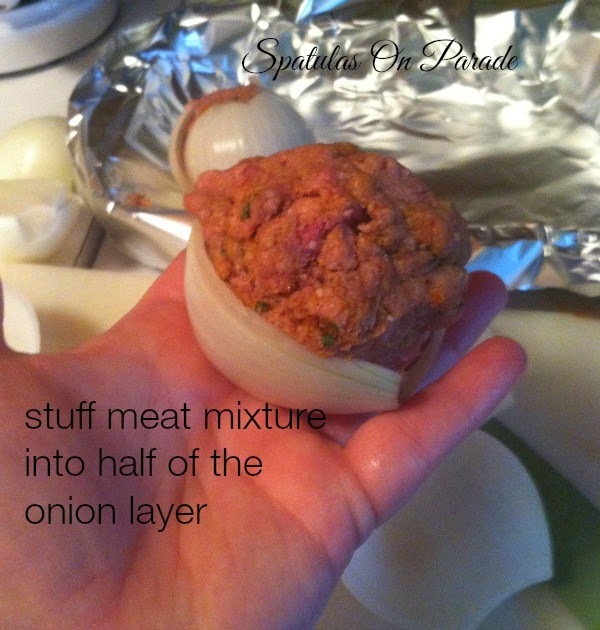 Stuff half of one layer with the meat mixture and top with the other half of the layer, continue until you run out of meat or onion. Top with bbq sauce either store bought or homemade. 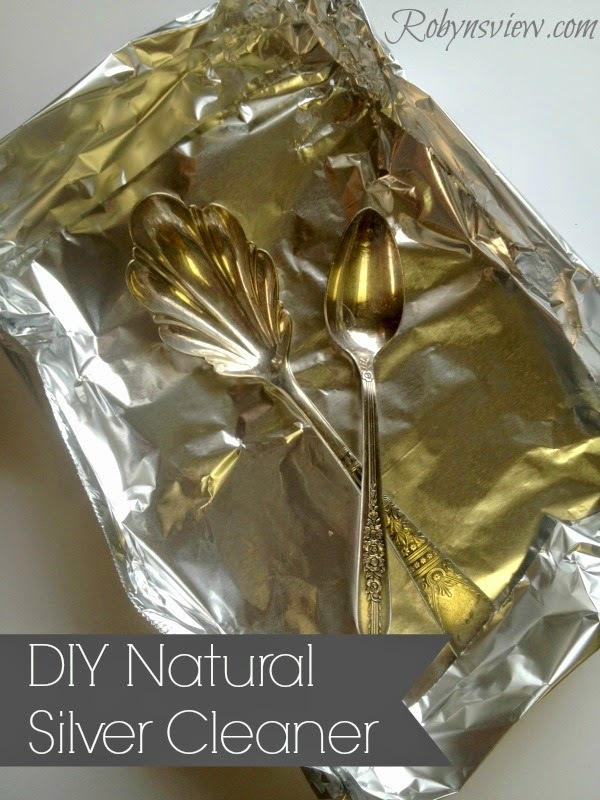 Wrap in foil and place in a baking dish. Double wrap with foil if placing on the grill. I love trying new foods and making new recipes. I also love Mexican food however eating clean doesn't lend itself to eating that very often. Ya know most of it is loaded with cheese, which by the way is not very clean friendly. Now, this recipe has cheese and you could make it without but I sure did enjoy it! Rewind 2 years ago and we were eating 4-7 lbs of cheese a month, NO I'm not kidding! I know, that is a lot. Now... I might buy a small package about once every 2-3 months. So that is a great improvement. Actually, I purchased cheese to make this recipe and that was only the second time since January. 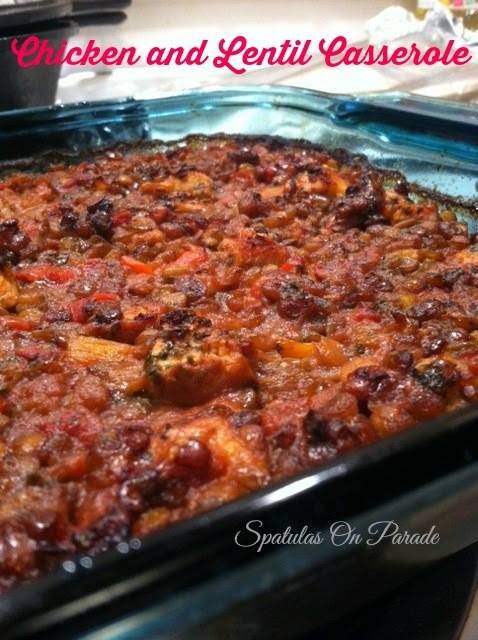 This casserole is loaded with protein and vegetables. 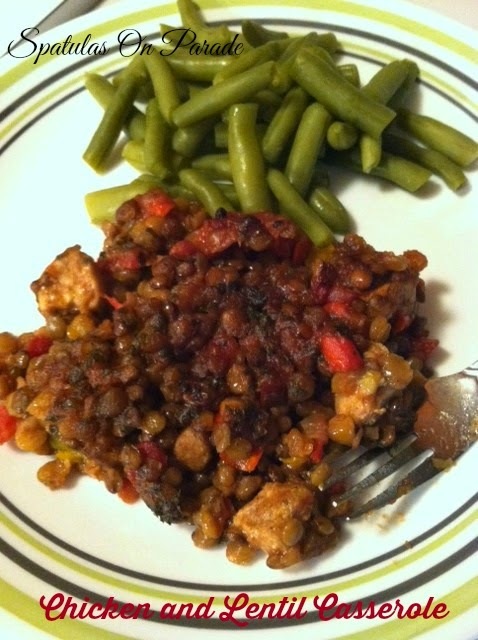 *Dry lentils are less than a dollar a bag, the tomatoes were on sale, I had the peppers and spices. I buy my chicken in bulk and store in the freezer so it cost less. The most expensive part was the cheese. IF you do not want to use cheese, you can use Nutritional Yeast Flakes found at the health food stores, taste like cheese but has no dairy. Or you could use vegan cheese like Diaya. Saute the vegetables in a TBSP of oil and spices. Stir in a large bowl with the tomatoes and cooked lentils. Sprinkle the chicken with spices and brown in a dab of oil. I use coconut or olive oil when sauteing. Mix all ingredients except the cilantro. Bake at 350 degrees for 50 minutes and remove. Cover with foil and let it set for 30 minutes, then serve. Wow it has already been a month! I hope you are enjoying our new party and that you will stop by often. My husband was thrilled with the healthy bad food (yes that's what I'm calling it) and my mind enjoyed it, but my insides did not. I have noticed since January and changing to a clean eating lifestyle that it may taste good to eat otherwise but boy do I pay for it. The pain returns, the bathroom trips increase and I just feel blah. Enough of the TMI...so, I really wanted a Cobb Salad, but honestly, my husband doesn't like avocado, the corn is all GMO, the cheese (that's another story) so I decided to create my own version, sort of. 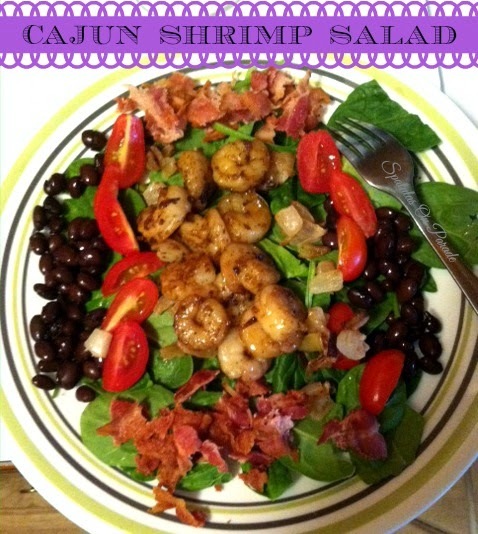 I came up with this Cajun Shrimp salad, no it's not really a Cobb salad but it was delicious! You can omit the bacon, but I figure 2 slices of bacon will not kill me and you can add other vegetables if you like. Cook your bacon, drain and crumble, set aside. I cooked the onion in the bacon drippings, yes that is probably not the best way and surely not the healthiest way, but to keep my husband happy this is what I do. Once in a while won't kill ya, I promise. Sprinkle the shrimp with Cajun seasoning and saute. 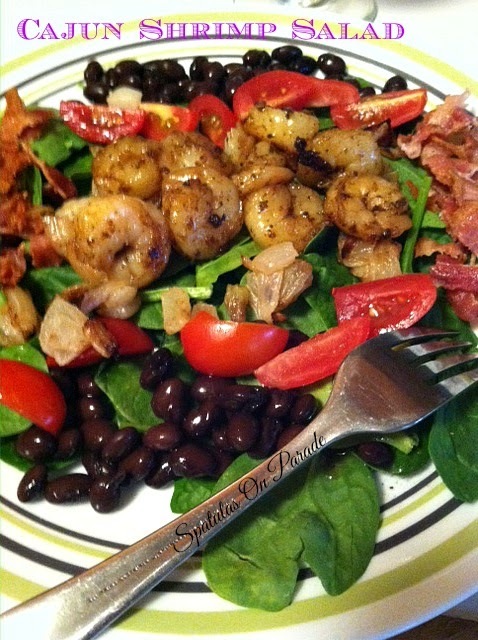 On a plate lay out your spinach, next in rows add your beans, tomatoes, onion, bacon and shrimp. The plate is very appealing and taste delicious all combined. We topped ours with a tablespoon of light ranch dressing. Again, you can make a better choice on the dressing, but this meal still meets my 80% clean rule. If this is your first time visiting a CIC post, please visit the other hard working bloggers, you'll see the link up at the bottom. Now for my creation, it is not very original but it was tasty! 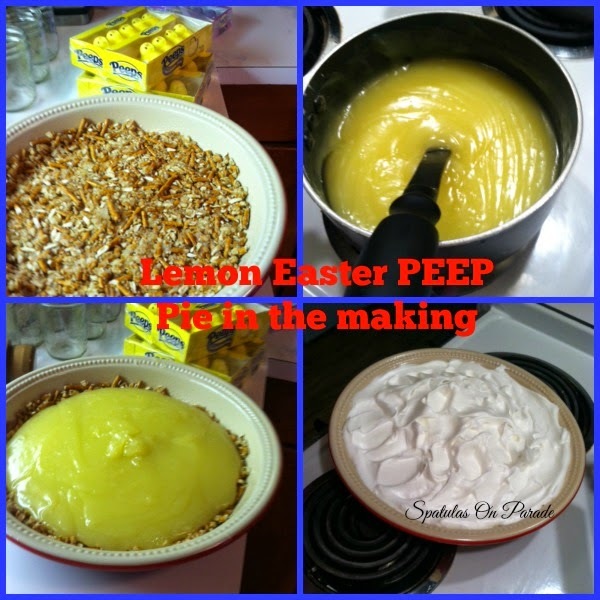 I had first thought of using the PEEPS in the pie, but changed my mind, then I thought of using them for the meringue but didn't. After my first bite I wish I had of, they would have worked wonderfully. 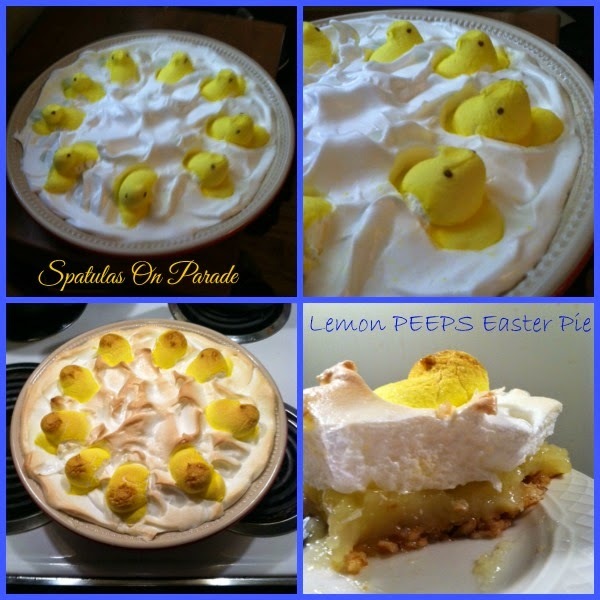 Don't get me wrong, the pie was good, I really liked it, but using the PEEPS as the meringue would have been better. Crush your pretzels, then add your sugar and melted butter. Press into a pie pan. I used a large 10 inch pan. In a medium sauce pan, bring water,sugar, butter and cornstarch to a boil, reduce heat and stir well. Once the mixture begins to thicken remove from the heat and stir in your egg yokes, stir well and set on the heat again. 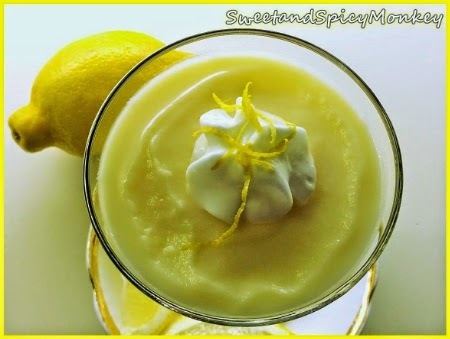 Once it begins to boil, stir for 2 minutes and remove, last add the lemon juice. Stir well and let it sit for 2 minutes. Pour into your prepared pie pan. In a mixer, add your egg whites and cream of tartar. Beat on high until it begins to peak and thicken, add sugar 1 TBSP at a time and allow it to beat/mix well. Once you are done, spread on top of your pie. Insert your PEEPS. Bake at 350 degrees for 10 minutes careful to not burn the meringue. 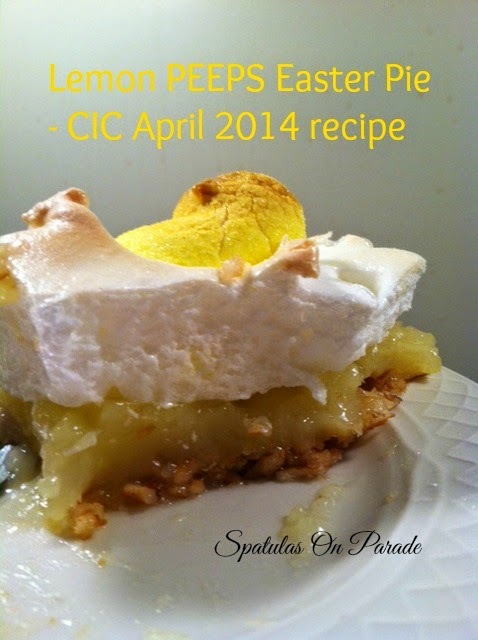 Be sure to stop by and check out all the other participants and their take on "Lemon and PEEPS" recipes, created just for this CIC !! If you're not a blogger you might thing, why do I want to see this? Well, you will find new pages to follow on FB or see a page that you previously liked, but don't see in your newsfeed now. THAT is the reason, FB is only showing, on average, 7 % of all post from pages UNLESS you pay them. Well, we aren't paying. So we're sharing instead. The more folks who visit a status, like and comment, the more FB will show that page. So if you see the page and like it, be sure to visit often, like and comment, otherwise it will disappear from your feed. To the bloggers, you know the benefit and I hope you are seeing your numbers go up. THANK YOU all for participating each week and now...on to the link! 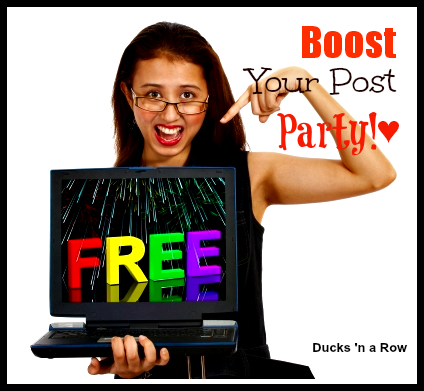 Boost Your Facebook Post Party! 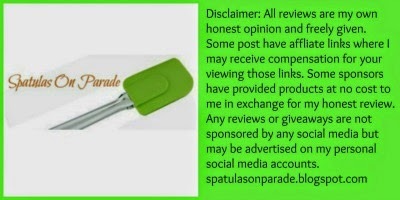 Several weeks ago we shared how frustrated many of us are with the lack of views on our Facebook pages. Loving Facebook as we do, we did not want to give up. Instead, we created this party where we help each other by boosting (liking, commenting and sharing) each other's Facebook posts. More about that: Facebook: How Frustrated Are You? It is working pretty well. The more activity each post gets, the more of our fans will see them. So, please try to visit as many posts as you can to boost them...at very least, the two above your own. 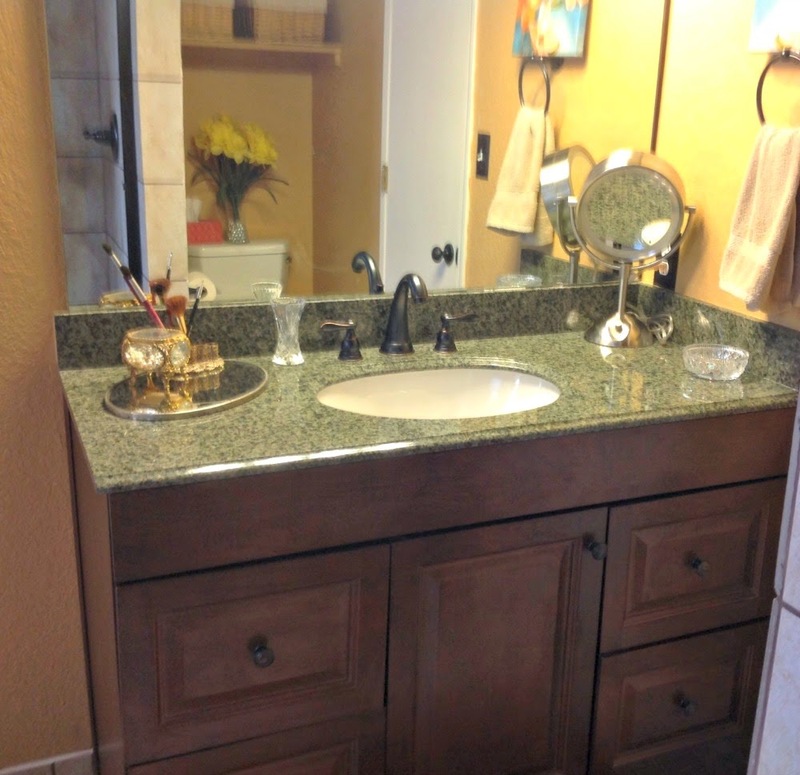 We are committed to doing the same for you! In addition, we've added a link up where we can simply become followers of each other's Facebook pages. When you like someone's page, please do it as yourself (from you personal page) so that the numbers count. This is an ongoing list. If you shared your page last week, it is there this week, as well. Please TWEET our party here! This past month I have been writing typing down things as they come to mind, so I would not forget to share them with you all. I can not help but laugh every time I hear "You picked a fine time to leave me Lucille" Kenny Rogers, when I was young I thought, Dang skippy she left! 400 children and I'd leave too. 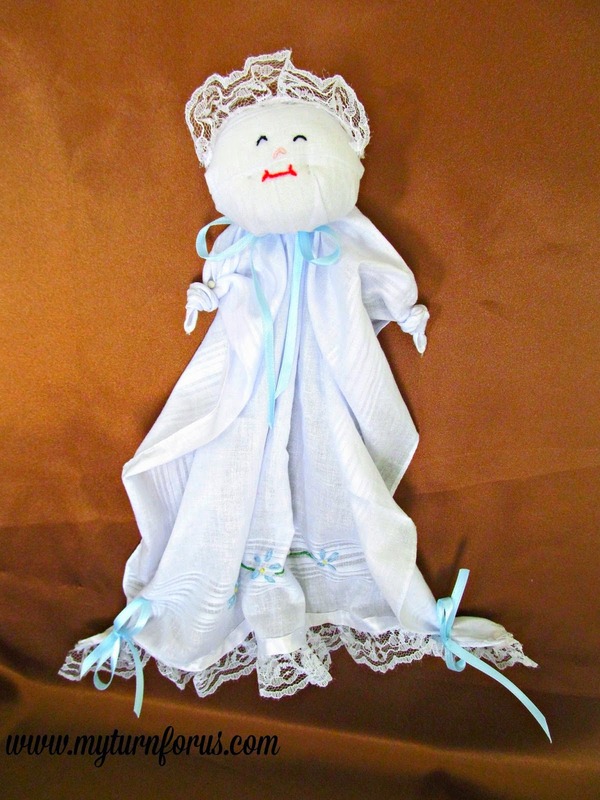 My cousin was little when I was going into my teen years and I was singing and dancing with my radio on. Yes a little red transistor AM/FM radio. Loved that thing. Anyway, later that day, we're in the car with my mom and Chris starts singing "muh muh muh mice are rolling"
We are cracking up, WHAT? Little Man is calling his kitten "meow" because that's what the cat says. It is so funny. You say "B where is the kitten. He answers "meow" and the kitten runs to him. At 16 months old, he has become a magpie. Everything you say he repeats, except "I love you" he shakes his head no. It warms my heart, when "Little Man" gets home in the evening he runs to Nema first, then looks for meow, next he runs to the front door (which is glass) and starts hitting it and yelling DAWN DAWN DAWN. awww makes me smile and warms my heart. I do so love this little guy! If I have not gone over by 8 p.m. someone is the house is calling or texting me and saying "B is driving us crazy, will you come over here." Funny thing is, when we moved here four months ago, the kid would not come near me for over 2 weeks. Now he's my little buddy. I'm at the grocery store (this was several years ago) and at the time I was vegan. I bought a 25 lb bag of organic carrots a week and juiced them. So I go EVERY week to buy these carrots, only one store in town carried them. I'm at the check out and the bag boy says "wow you must have a lot of rabbits." Me: I juice them, I put them in a machine that squeezes the juice out and I drink it. Me: Because it is healthy and I like it. Bag boy: man that's weird. What's it taste like? He looks all confused, I laughed and said "carrots"
He looks disappointed and says "oh"
My husbands aunt, her daughter, grand daughter and great grandson "little man" live across the street from us. I'm helping keep "little man" one morning and cousin A is getting ready for work. She can't find her earrings, she is looking all over, I start to help. Nope can't find them anywhere, then I find them on her dresser. Where she has looked 3 times! We laugh, she gets ready and leaves. Flip to the next morning, same thing, this time I can't find them, she can't. She even says "I remember last night when I took them off I said I'd put them here so I wouldn't forget where they are, now I don't know where "HERE" is." We laugh, she leaves for work. 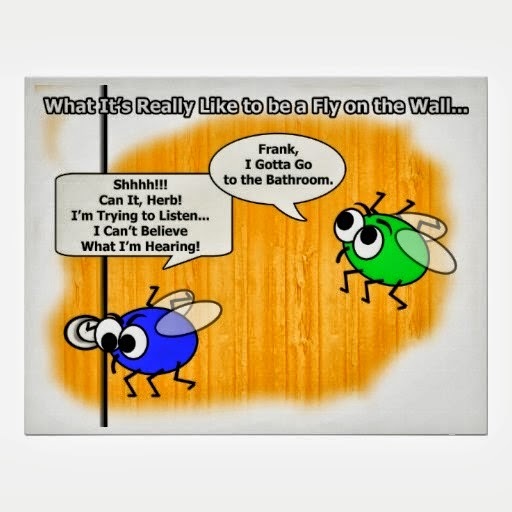 Later she calls, "guess what"
A: I'm outside smoking and see myself in the door, there's something in my hair, I move my hair and feel to see what it is, (now she's laughing) it's my earrings! I had them on!" My FIL was in the hospital just last week in ICU as most of you know,our youngest son came home from TX to visit. It was the best and worst week combined. We did manage a few moments of peace at my SIL house. My DIL caught the only fish of the day! It was funny to me, and it was a big one! Even more funny because she did not grow up fishing and is only 4 feet 11 inches tall. All items into the Vita-Mix or blender and hit liquify. 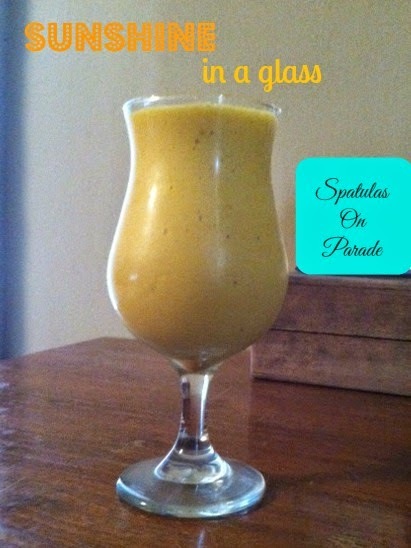 You end up with a gorgeous yellow glass full of sunshine and energy! I've been on the quest this week for a new, different recipe. I've been taxing my brain, combining ingredients and thinking of what to do. So last night I made this new dish. I'll be honest, this was NOT my best dish. Oh, don't get me wrong, it wasn't "bad" but it wasn't fabulous and I like fabulous anything less and I feel I failed. I most likely will do this one again and change it up but for now, I wanted to share my dish with you. It was easy, it was tasty but weird. Have you ever ate something and thought , "wow, this is weird" but could not stop eating it? That was last night. My husband kept saying "okay this is weird, not bad, but weird" and kept right on eating it. Being as we have an empty nest, I have the freedom to do weird dishes, my boys would not have ever touched this. They love shrimp and crabs but not fish (when they were growing up) and 2 of the 3 have always been a very picky eaters. My husband however will eat dirt, so I can try anything and not worry about it going to waste. First fry your bacon and set it aside. Next take your fillet, spread grainy mustard on, place a slice of bacon and pickle, now roll it up and secure with a tooth pick. Sprinkle the roll with smoked paprika, fresh cracked pepper and a dash of sea salt. Continue until you have all six 6 complete. Now place in a 350 degree oven for 20 minutes. 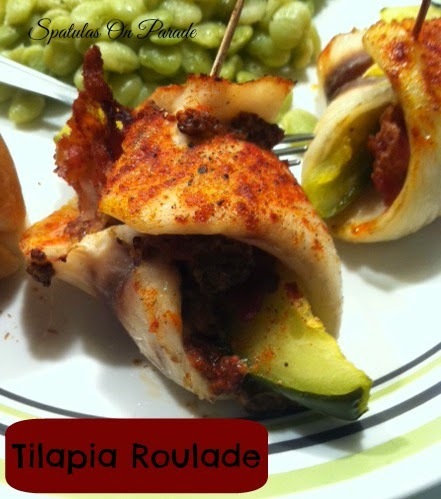 Serve with a nice roll, salad and side dish.